I’ve always loved clams; fried, in chowder, steamed in butter – it’s all good! But when I was introduced to Washington clam digging, I discovered the freshest, best tasting razor clams on the planet. The Long Beach Peninsula on the southern Washington coast is just a short road trip from the neighboring metropolitan areas of Portland, Oregon and Seattle, Washington. 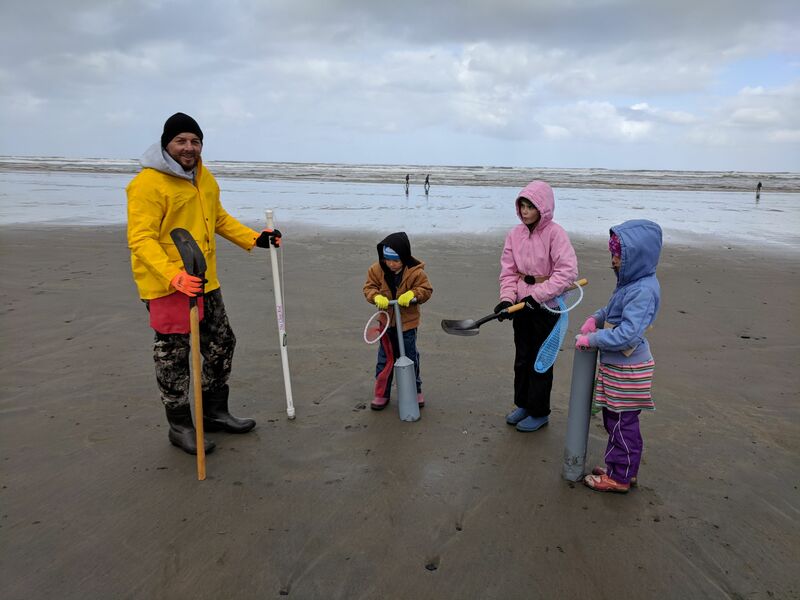 Not only is it a favorite beach play hotspot, it arguably boasts the best razor clamming in the Pacific Northwest with the biggest yields and largest sized clams. In order to keep up population and mitigate the risk of marine toxins, The Washington Department of Fish and Wildlife highly regulates Washington clam digging tides. Peak clamming season generally runs late fall through early spring. When planning your trip be sure to check their website for updated dates, locations, and tide levels. Insider tip: If they confirm the dates, go for the Long Beach Razor Clam Festival on Saturday, April 20. With clam digging lessons, vendor booths, contests, taste-offs, and more, it’s fun for the whole family! The Long Beach peninsula beaches for Washington clam digging include…. …to read the full article, click here to finish reading over at The Dyrt Magazine!